Are you looking to develop new or improved products or processes using catalysis and/or materials science? Are you looking to characterise materials/products? Drochaid Research Services can help you. 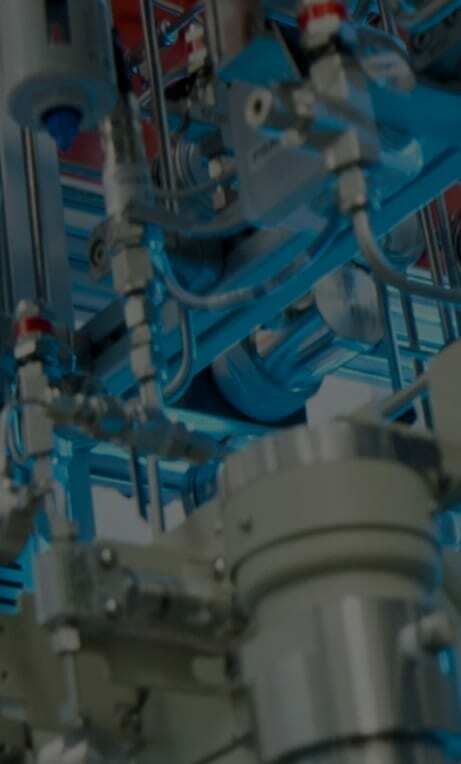 Drochaid Research Services can offer world class expertise, experience, state of the art equipment and techniques to ensure efficient use of time and resources all these services, precisely tailored to your needs. We can adapt our approach to meet your needs; we can carry out contract work, give access to our equipment or even help you build capability on your own sites. In all of this we can guarantee the highest standards of confidentiality.  Drochaid Research Services research facility comprises 10 fully serviced, state of the art laboratories with a total footprint of around 400m², a number of these labs have been specifically designed to house the research equipment. The company has built up a wide suite of facilities that are detailed separately (see Meeting Your Needs) which can be utilised along with our scientific expertise to help your company reach its goals. 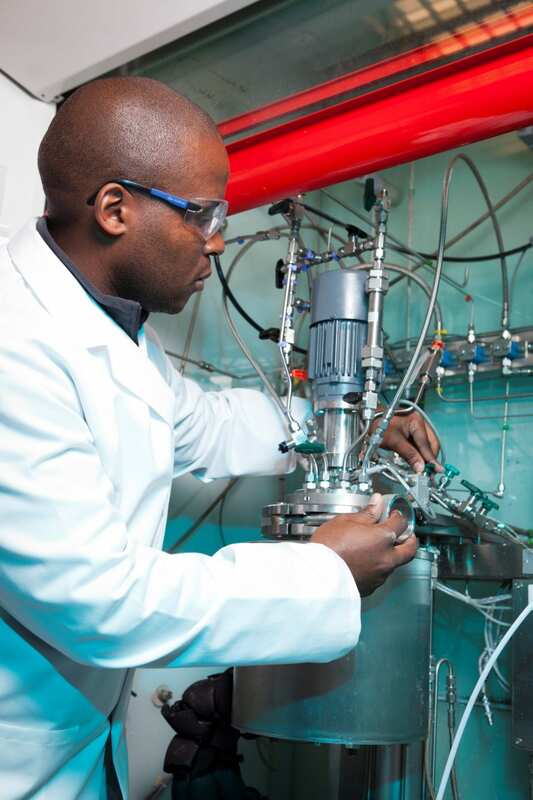 Whether it is a single analytical technique, fundamental scientific study, catalyst testing or any combination of what we offer, we can tailor our facilities, equipment and expertise to best fit your requirements. Contact us and we can discuss with you how we can meet your needs. 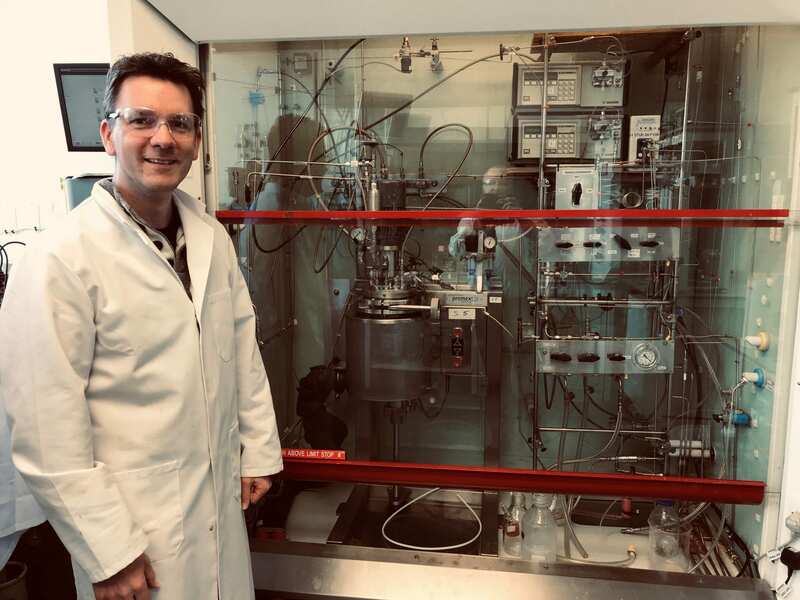 Dr David Smith is Drochaid's expert in homogenous chemistry with extensive experience in synthesis, characterisation and testing of catalytic systems. 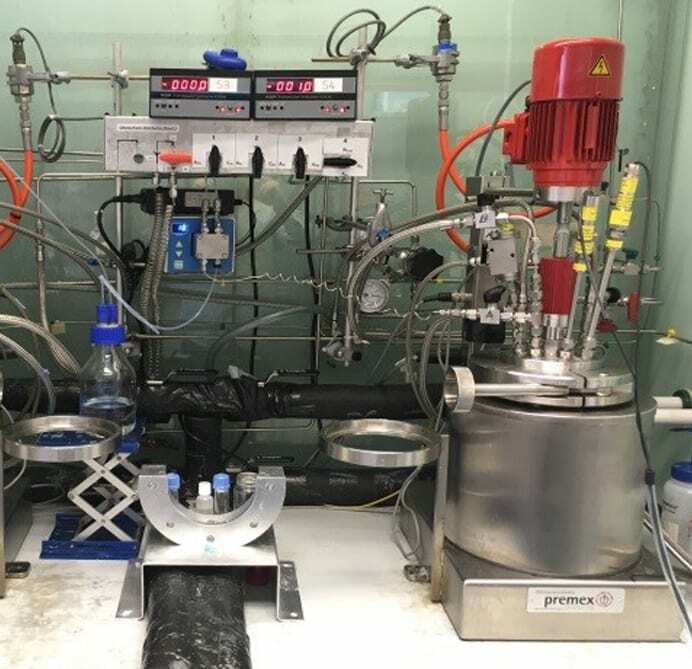 He is also our expert on biochemocatalysis at elevated pressures and has worked on a number of projects testing biological systems under various process conditions. Here he is in front of our custom designed and built unit used for catalyst testing. Contact us to find out more.